Silent cry for performance... Finally, it's available! 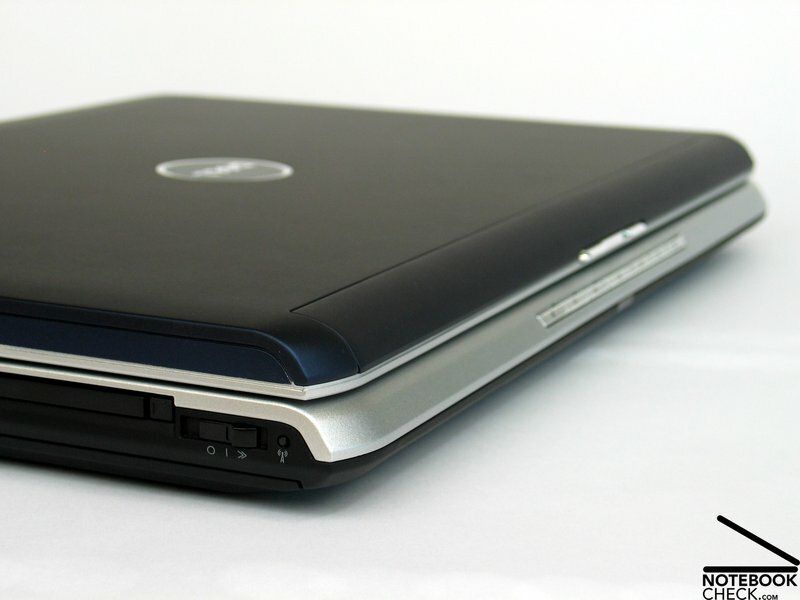 After supply difficulties we were finally provided with a Dell Inspiron 1720. However, the big brother of the Dell Inspiron 1520 is at the time of writing "only" available with Geforce 8600M GT video power. Still, the big case and the spacious fans, are ready for really powerful gaming video cards. 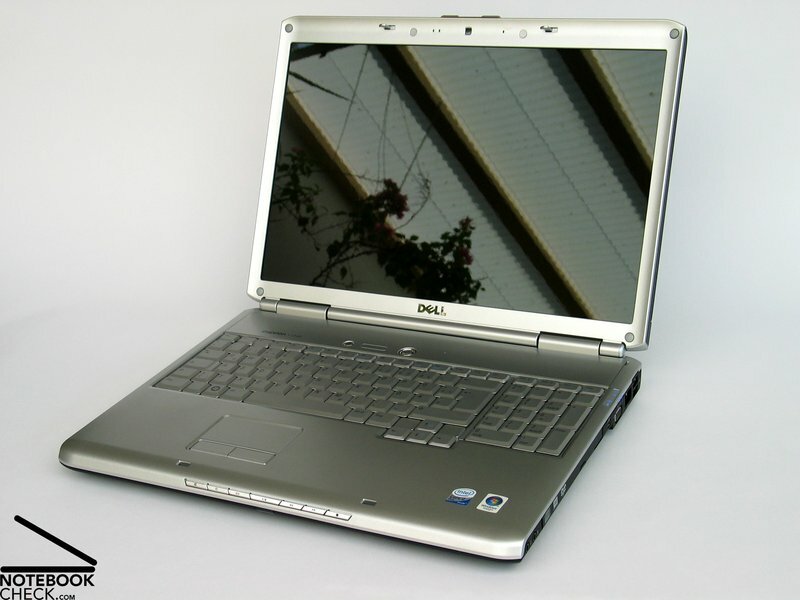 Something has not changed compared to older Dell notebooks: The notebook is quite big, and also quite heavy. 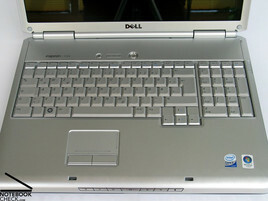 The design is a slightly improved Inspiron 9400 design. It let's the big case look a little more elegant and dashing. Particularly, the rounded front edge does not only look good, but, also contributes to ergonomics and user-friendliness of typing. 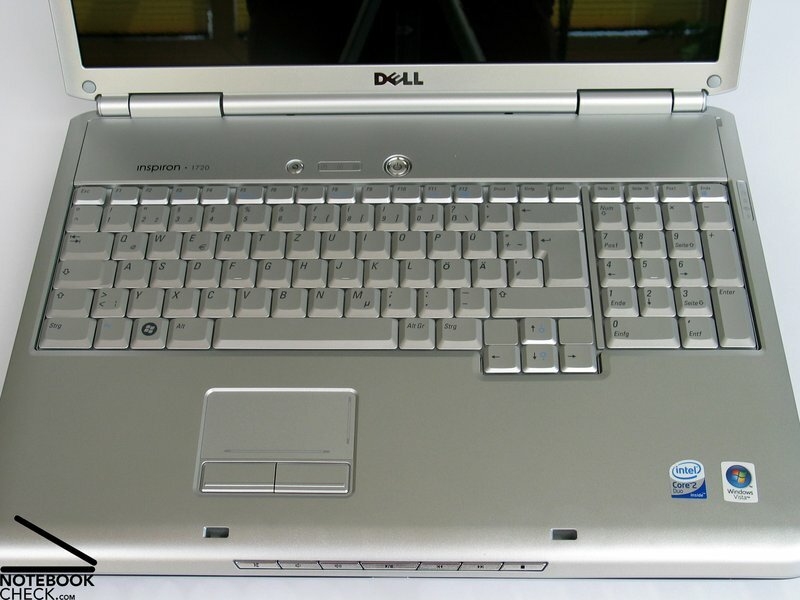 Otherwise the Dell 1720's design is very decent. 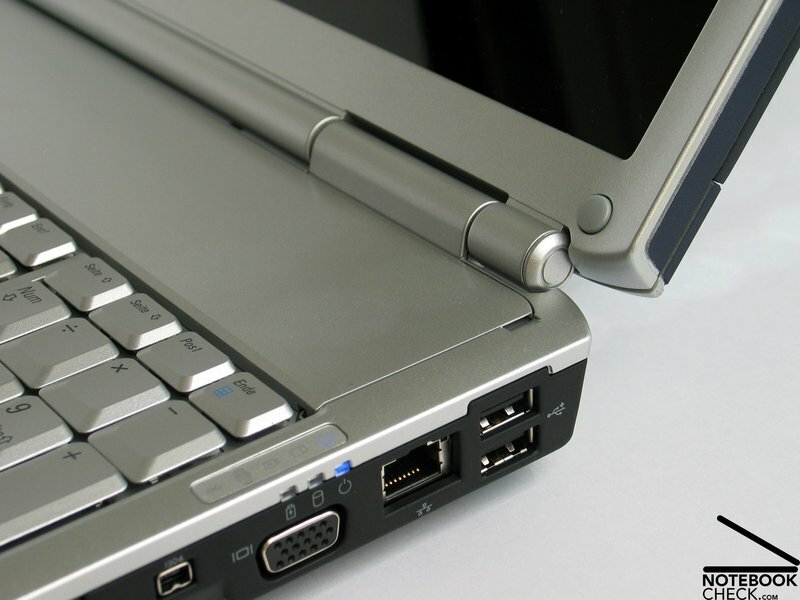 It looks nearly elegant, if a notebook with such a huge case can be called elegant at all, because the top side including the keyboard is completely silver. 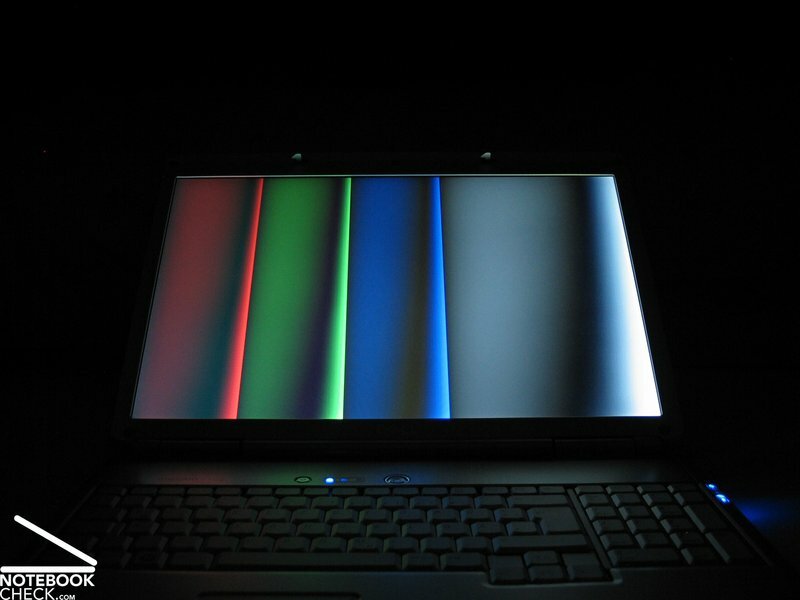 Regarding robustness and flexural rigidity the Inspiron 1720 is really first class. Wherever you try to press or bend, the case resists. This is not surprising, considering the case trough is made of high-quality aluminum. Regarding stability there is only one point of critique: The display hinges. 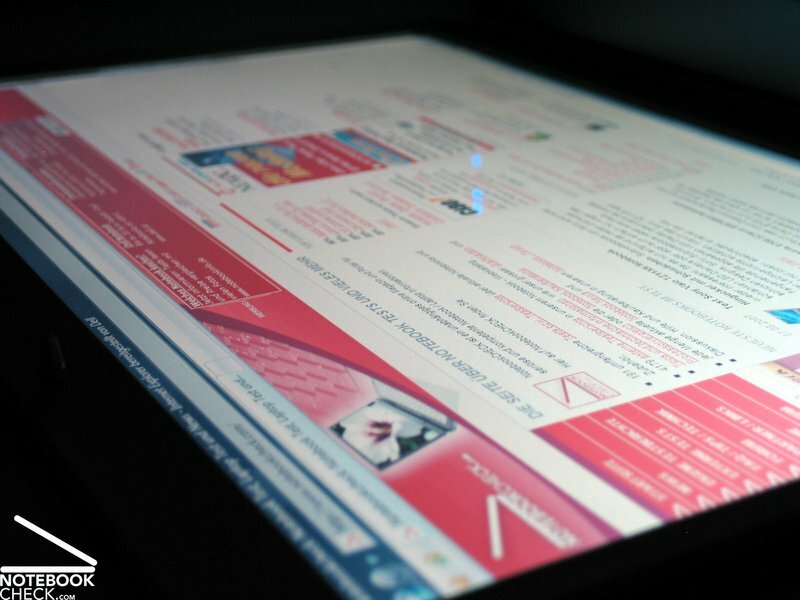 Although there are relatively big and stable, there is a slight see-saw possible after adapting the display's position. The display is equipped with a ramshorn hook, which holds the display tightly locked, if closed. However, it cannot completely prevent a slight possible wobbling in closed position. It would have been wonderful, if the hook had not only looked metallic, but, had actually been made of metal. This would have even more contributed to the impression of robustness. Another point of critique regarding the transport hook: The slider has a beautiful form, and is chrome-plated, however, it is not really user-friendly. Although spring-mounted, it's resistance is so high, that the finger slips off. Only using the finger nails helps. Now, let's look at the last considered aspect regarding case, the provided interfaces. 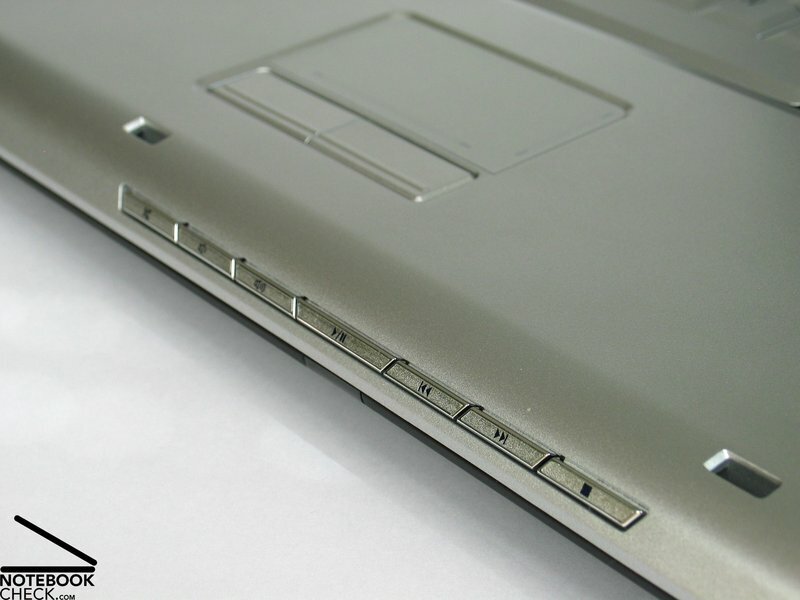 In contrast to the Dell Inspiron 9400 the interfaces of the 1720 were rather located at both sides and next to the rear edges. 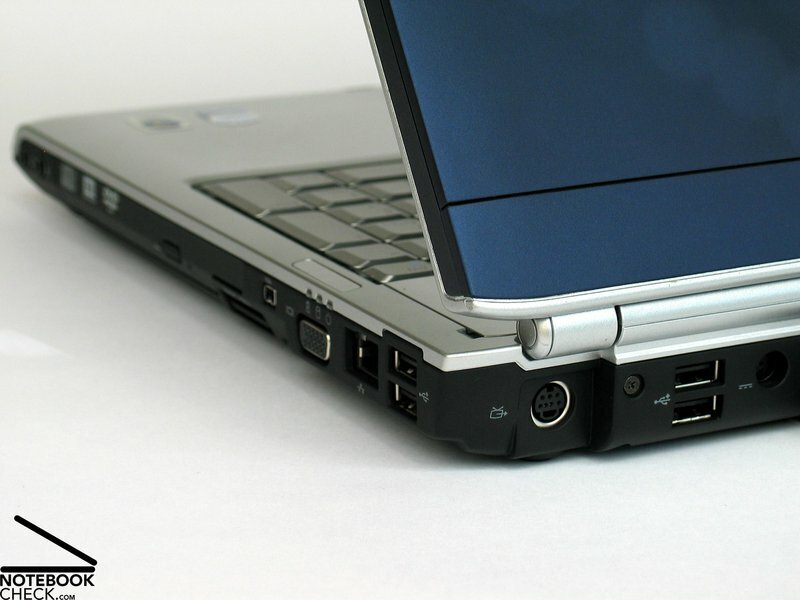 A total of 5 USB 2.0 ports, Firewire and S-Video or VGA port are provided. 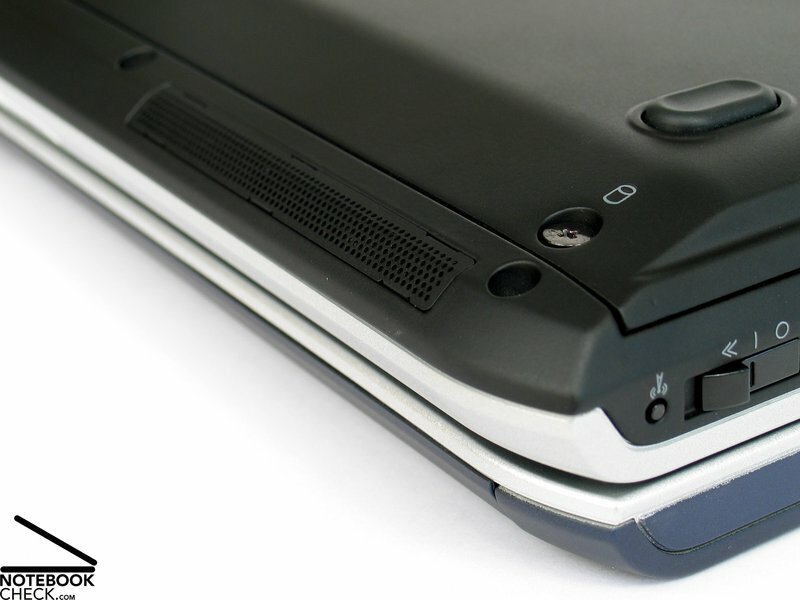 Next to the front there are additionally an ExpressCard slot and two audio ports. The silver keyboard does not only look good, it is also user-friendly. The keys were not too densely located, tough even an additional numerical pad is provided. This is an essential pro compared to the 9400 series. . The size of the keys is alright and typing feels very comfortable. 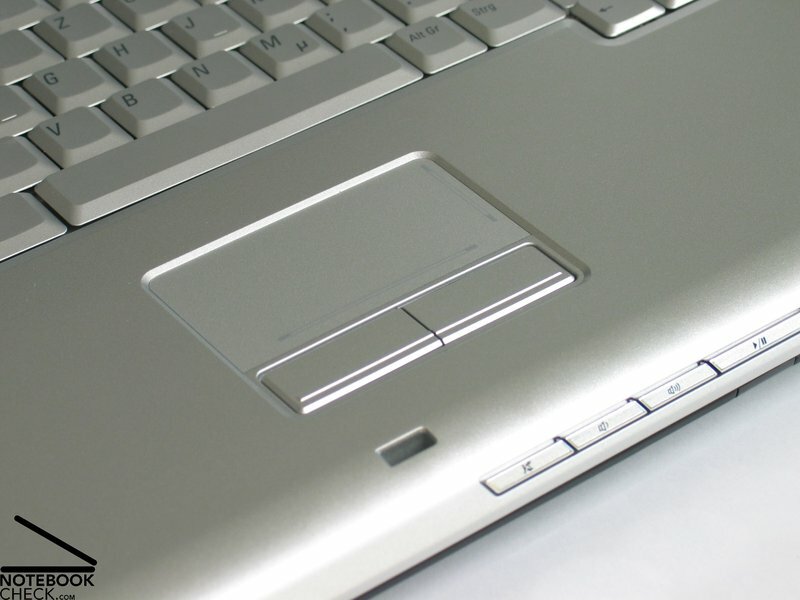 The keyboard is located out of the center, a little bit more to the left, in order to provide space for the numerical pad. So, you'll maybe need to adapt to its location first. The same applies to the touch pad. Anyway, the touch pad is our next point of critique too. The touch pad did often not react well. Sometimes, the mouse pointer resisted to move where intended. 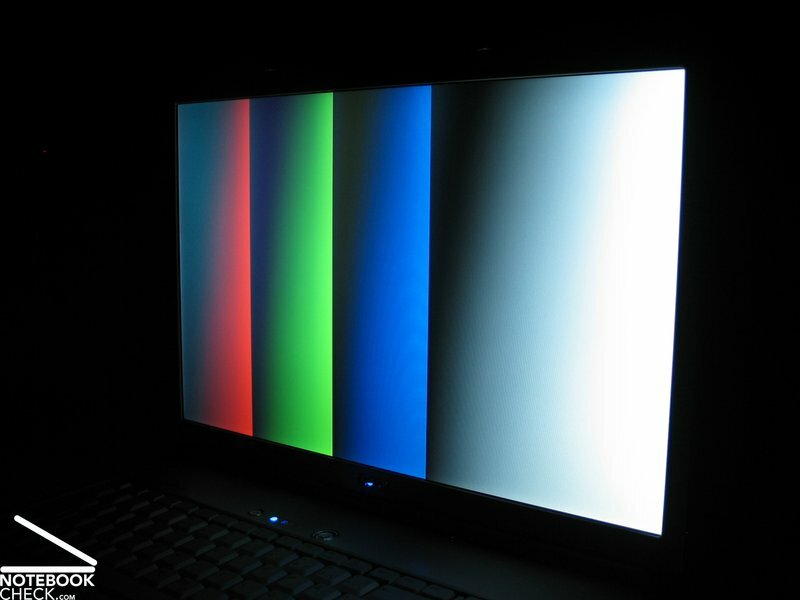 However, we could not trace back, whether this is a hardware problem, a software problem, or even a Windows Vista problem. The pad's surface convinces by good sliding properties, and also its buttons have a clear point of pressure. 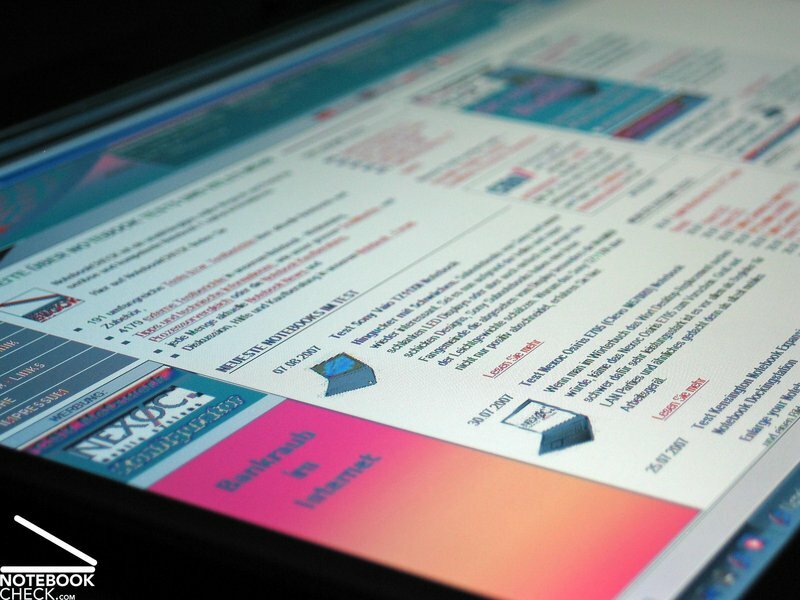 A number of hotkeys, i.e., buttons for volume control and control of the Mediaplayer, are beautifully located at the rounded front edge and are illuminated by blue LEDs, if used. 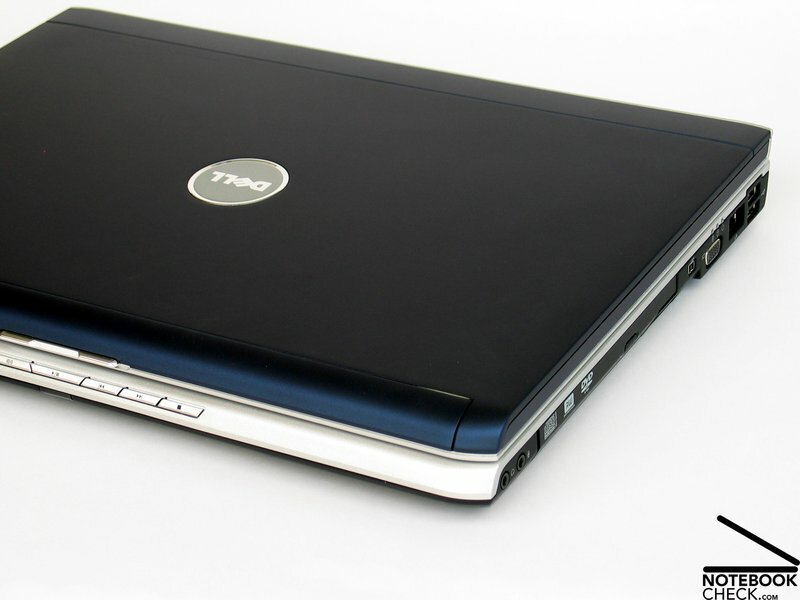 The reviewed Dell Inspiron 1720 was equipped with a 17 inch 1440x900 WXGA+ "TrueLife" display. Overall, we cannot really recommend this display. Considering it is a 17 inch display, even the resolution seems to be rather coarse and not really concise. 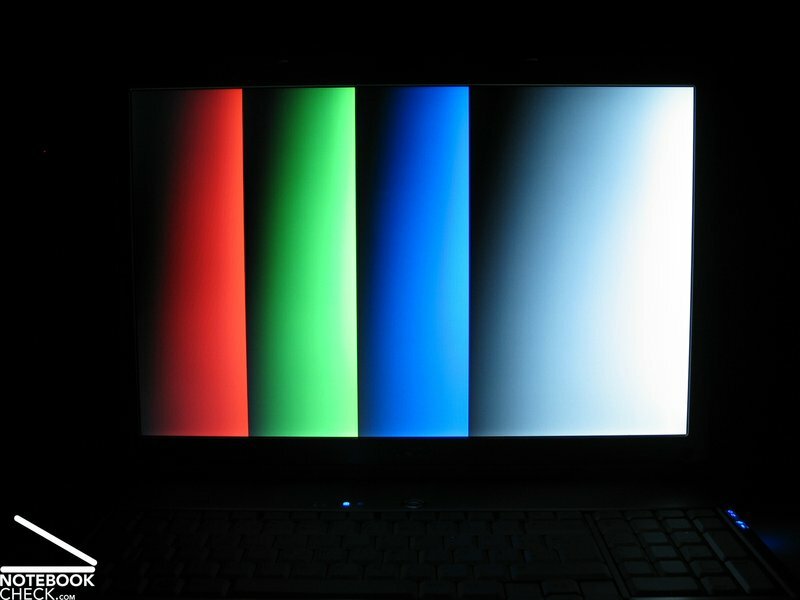 Fortunately, the Inspiron 1720 is also available with an WUXGA "Ultrasharp" display with a resolution of 1920x1200 (reflecting alike the WXGA+ panel), which is clearly conciser. 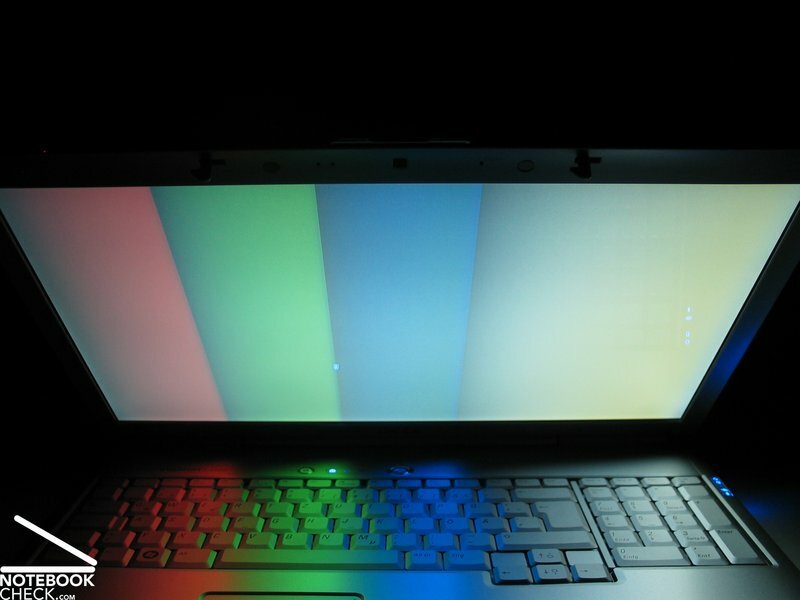 Maybe it's the same display the Dell Inspiron 9400 is equipped with, which rated passable in our review. The measured maximum brightness of the provided WXGA+ display amounted to 194.1 cd/m² in the center of the display. 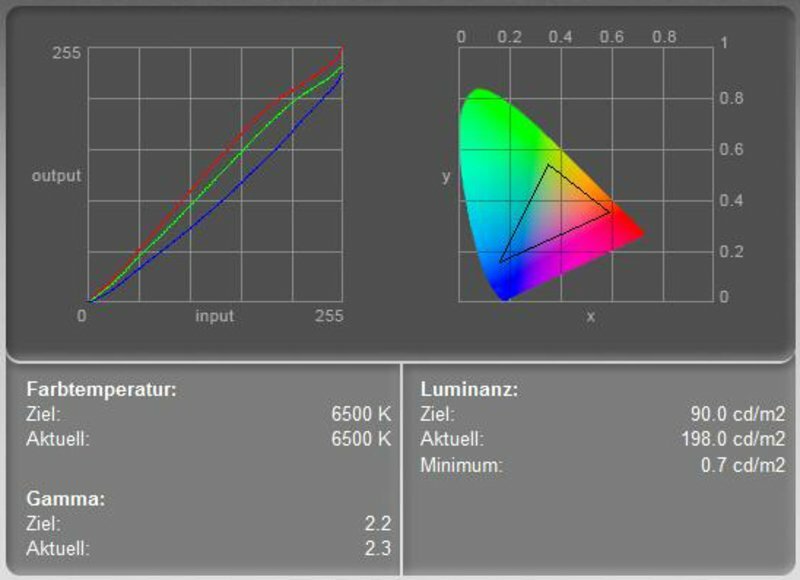 Because the brightness diminishes a lot next to the bottom edges (only 124.2 cd/m²) the poor illumination is only 64.0%. The average brightness of the WXGA+ displays of only 155.6 cd/m² reveals the maximum as outlier. The minimum brightness of 0.7 cd/m² combined with the maximum brightness gives a maximum contrast of acceptable 277:1. 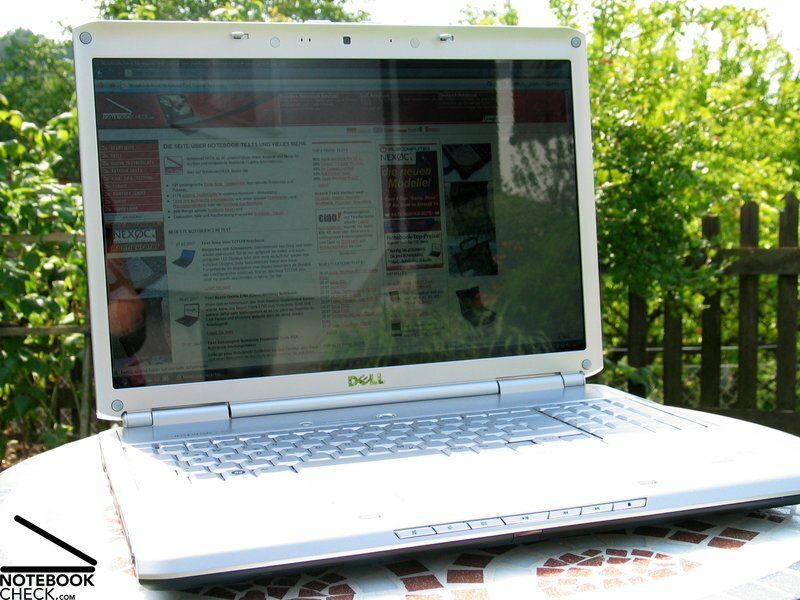 Because of the heavily reflecting surface of the display which heavily reflects especially in bright environments, the outdoor usage of the Dell Inspiron 1720 is very limited. The stability the the vantage point is along both axes sufficient, however, the picture changes heavily, even, if the vantage point does not differ very much from the ideal. The picture might not be recognizable at all, especially, if you look from top down. Horizontally, you'll face reflections at acute angles. As probably all Inspiron fans might remember, the good performance was a main purchase driver for the 9400. Lately this notebook was available with the still first-class Geforce 7950 GTX. So, its power was even sufficient for up-to-date games. 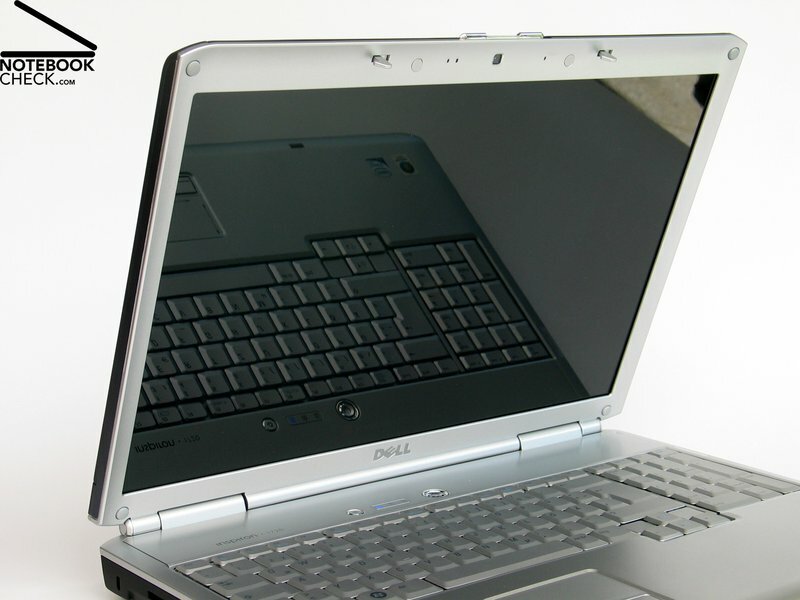 The reviewed version of the Dell Inspiron 1720, regarding video todays top offered version, was equipped with a NVIDIA Geforce 8600M GT. However, we believe that there are still more powerful versions to come. Please note, that this video solution is not only regarding benchmark results, but also in practice, only at the best equally powerful than a 7900GS, sometimes it is even outperformed by the 7900GS. 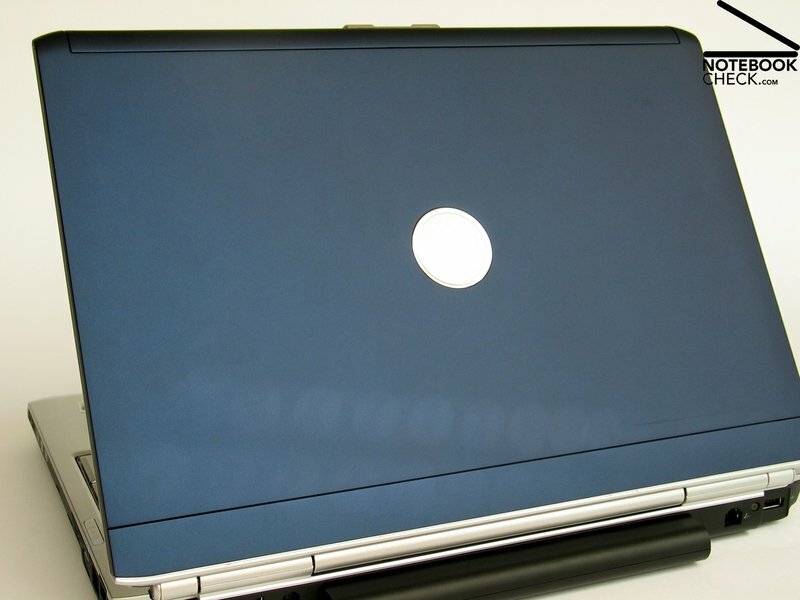 Many 15 inch notebook are nowadays equipped with a NVIDIA Geforce 8600M GT. 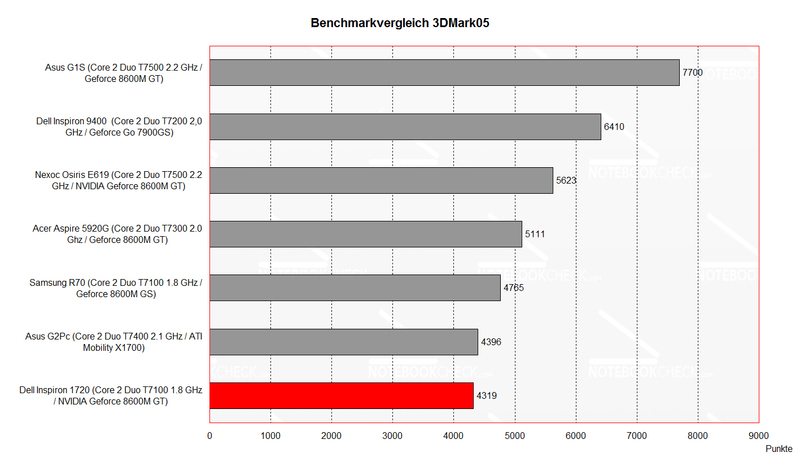 Until now its best results were measured built-in in an Asus G1S, because it is also equipped with GDDR3 memory modules and the video card might be higher clocked. 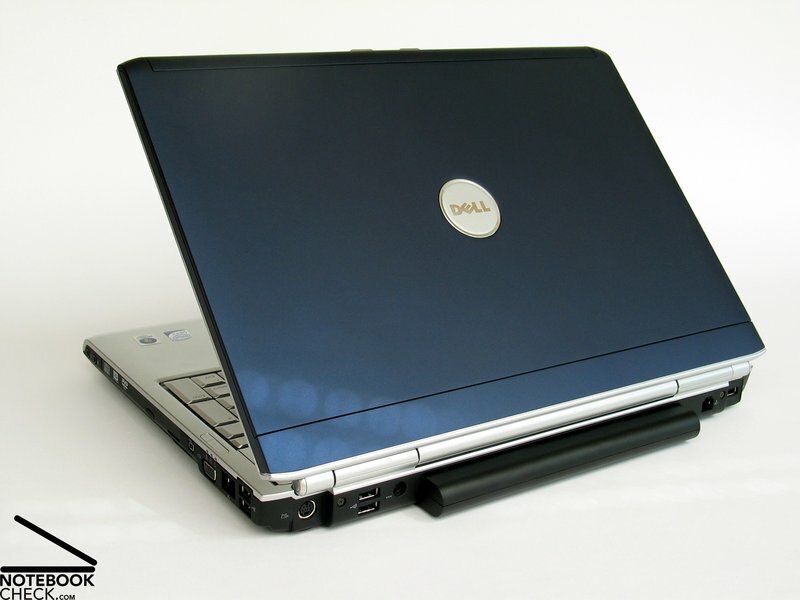 In contrast the Dell 1720 is equipped with DDR2 VRAM modules. As a result the performance values were only average. Overall, the game performance is passable. 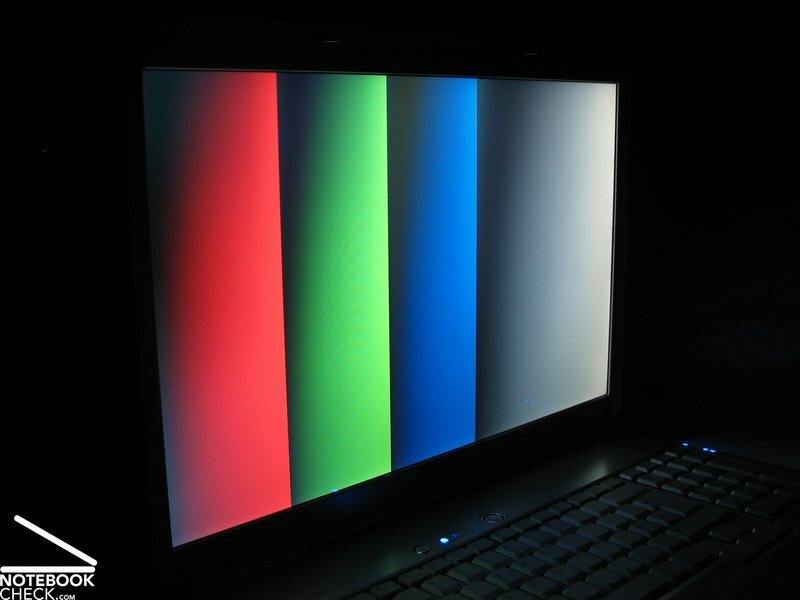 Up-to-date games can be played, but, depending on the desired performance, details and resolution have to be reduced. In secret we believe that more powerful video cards will also be available for the Dell Inspiron 1720 in the future. The Geforce 8700, which will be launched soon, might be one of them. It could improve the 1720's performance even more. Some more words to the rest of the equipment: The reviewed notebook was equipped with a total of 2GB main memory, which where provided by two 1024 MB modules. So, an upgrade to 4GB main memory would cost 392,70.- Euro. The built-in 160GB hard disk with 5400 revs/min had a somewhat slow access time. 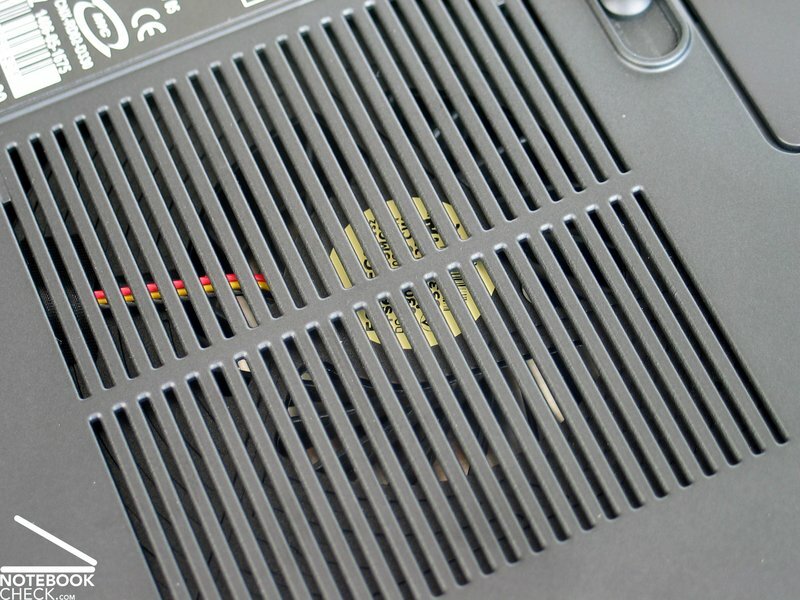 There is enough space for a total of 2 hard disk in the Dell 1720's case. So, at the time of writing, the maximum capacity of 2x250GB, provides sufficient capacity for storing data. 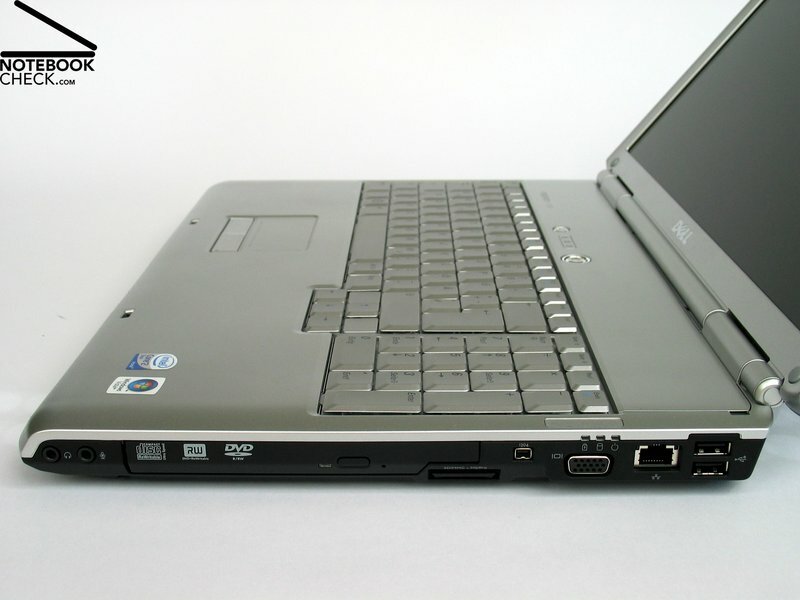 Oh, we nearly forgot about this: The reviewed 1720 was equipped with a T7100 CPU with 1.8 GHz. 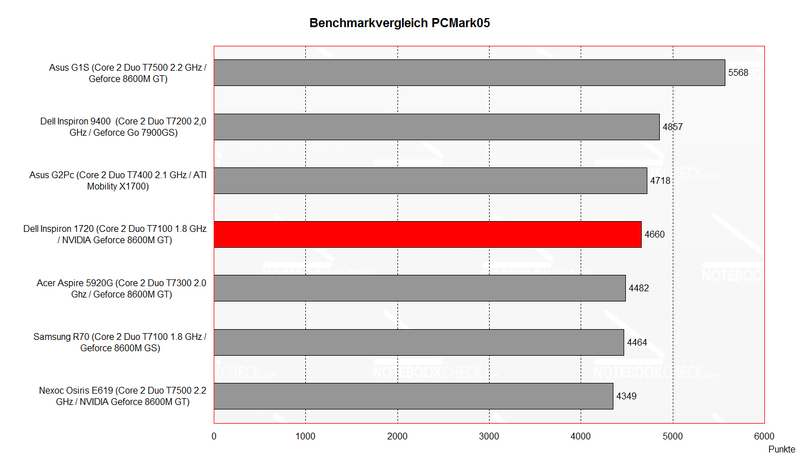 Upgrades up to a T7700 CPU with 2.4 GHz are possible. Resolution 1024x768, Detail Presets at "high" - 15-27fps, with about 25 fps well playable. Resolution 1280x800, Detail Presets at "high" - 10-21fps, with about 20 fps still playable. Resolution 1440x900, Detail Presets at "high" - 9-16fps, with just under 15 fps, only badly playable. Resolution 1024x768, Presets at "high", AA off - 21-27fps, well playable. Resolution 1280x800, Presets at "high", AA off - 18-22fps, playable. Resolution 1440x900, Presets at "high", AA off - 18-20fps, still playable, but flickers, when scrolling. Both games are playable, even with the highest listed resolution. However, performance losses are already recognizable. You'll surely need to reduce the demanded details and resolution at multi-player skirmishes. 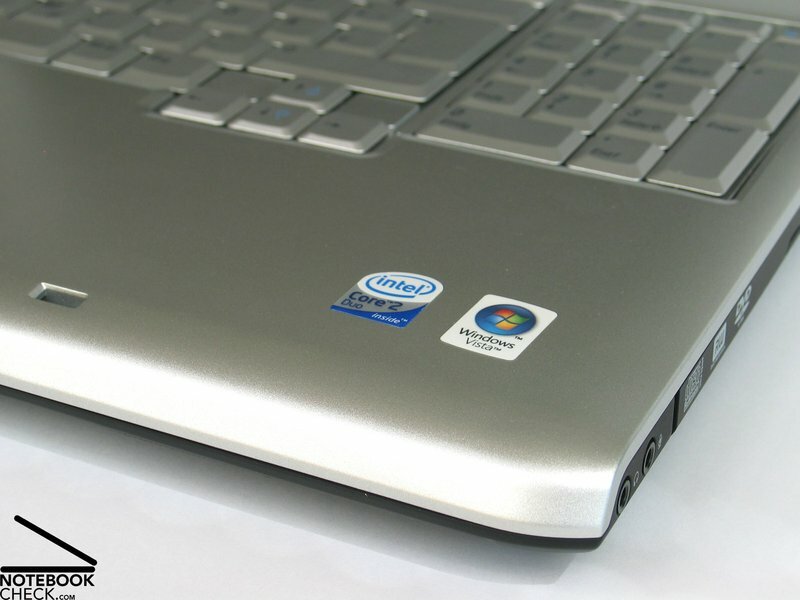 Regarding noise emissions it gets obvious that the reviewed Inspiron 1720 is not top equipped. Independent of the chosen performance profile, it is hardly audible in idle mode. Even under load the big fan at the bottom side does not run at full speed. We measured a maximum noise level of only 36.7 dB. The surface temperature is alike the noise. The maximum temperature at the top side is just 33.2°C. 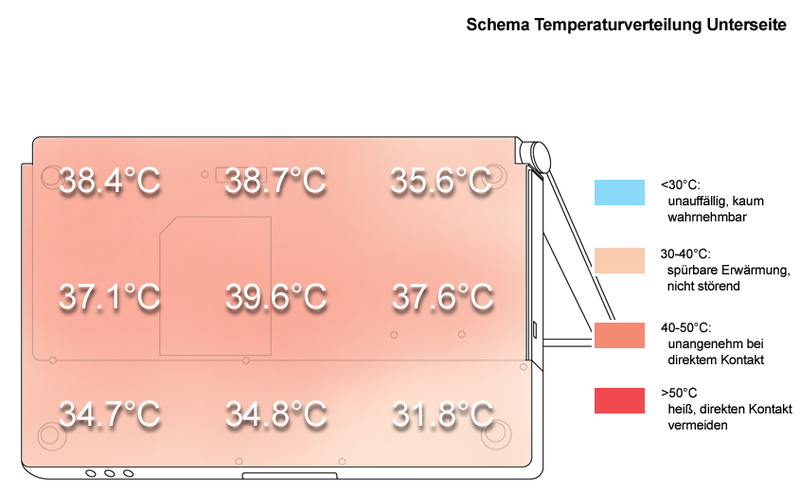 Even the bottom side of the aluminum case stays with 39.6°C in its center relatively cool. At the front edge there are 2 speakers, which spread their sound downwards. Their maximum volume is alright, but they clearly blast therewith. With moderate volume the sound is alright. Basses are there, but could be better. The analog audio out of the headphones provides good, low-noise, sound. Digital sound output is only possibly by means of an adapter to the S-Video port. 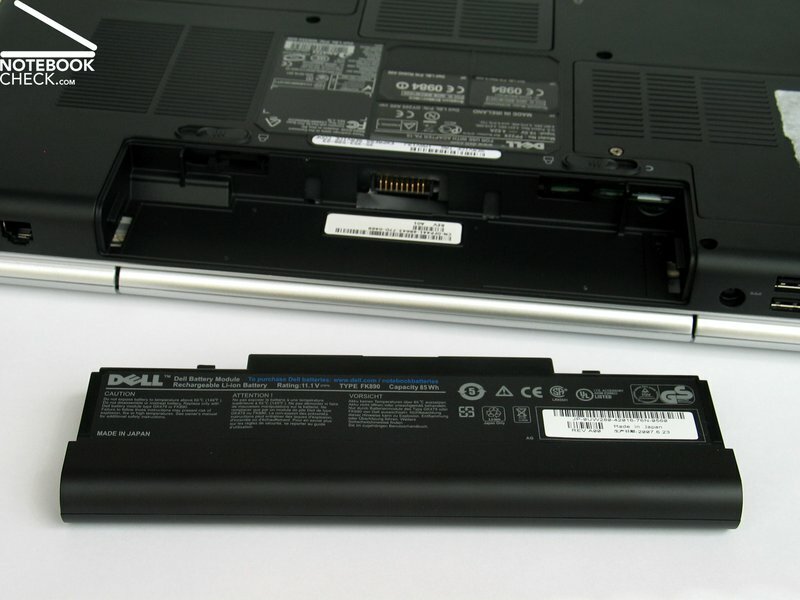 Equipped with a high-capacity 85 Wh battery, the well equipped Dell Inspiron 1720's battery runtime is passable. The battery runtime ranges form hardly above 2 hours under load to a maximum of nearly 6 hours at minimum energy demand. Everybody has to decide by himself, whether this makes sense for a notebook which weights 3.9 kg. Nevertheless, a long battery runtime does not harm. 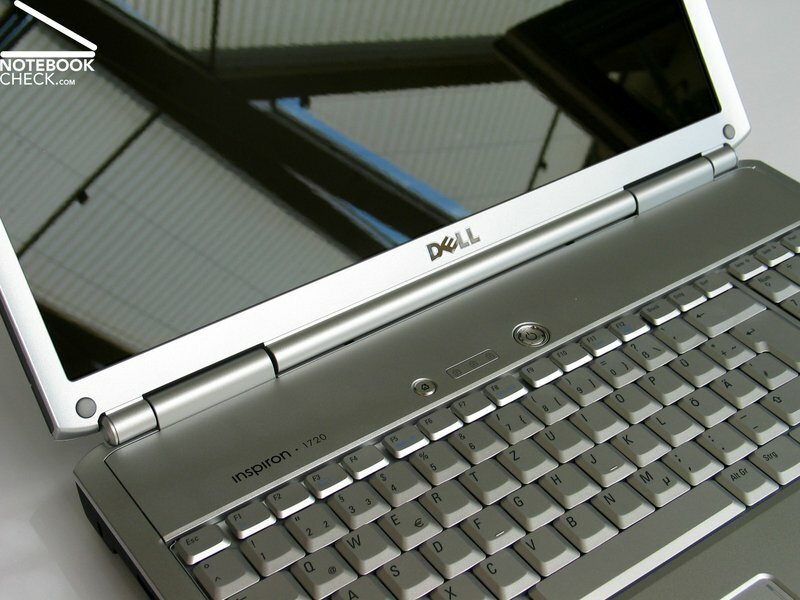 We were very curious about the new Dell Inspiron 1720, also because the former 9400 series was very successful and our article about it was one of the most read ones. Overall this impression persists: Thumbs up! - at least a little. But, we must admit that our expectations were very high, especially regarding performance. Also the equipment with interfaces could not totally convince. 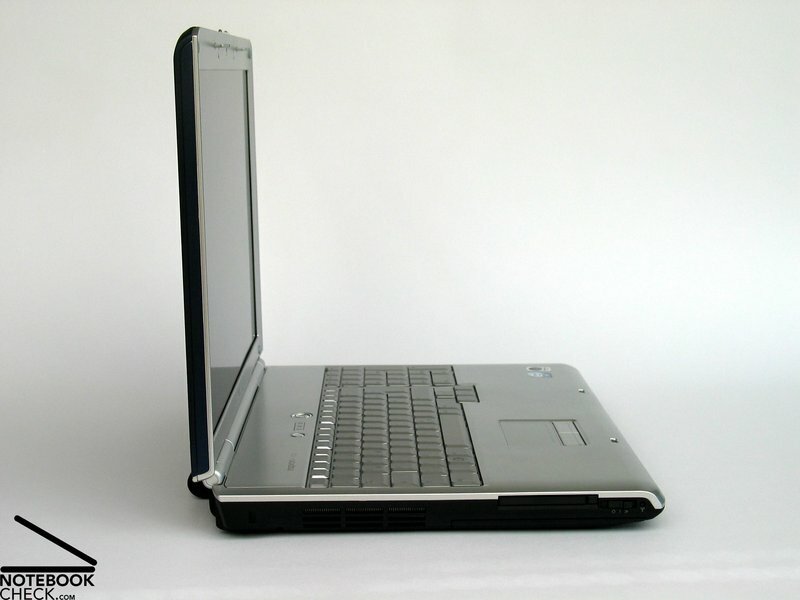 The quality of the case is alike the Inspiron 9400. Especially, the robust and stable aluminum trough is worth mentioning. The design and the look was a little bit improved. Similar is true for the input devices. Typing stayed as user-friendly as it was, and the available space is reasonably utilized by an additional numerical pad. The reviewed notebook was equipped with a WXGA+ panel which could neither convince by the provided resolution nor by measurement values. So, it stays the cheaper alternative to the also available, but more expensive WUXGA display, whose measurement results can be found in the review of the Dell Inspiron 9400, if the one offered for the Inspiron 1720 is identical in construction. The performance of the reviewed 1720 was not outstanding. On the one hand the Dell Inspiron 1720 provides sufficient power to well play up-to-date games with some restrictions. But, it is not really equipped with top hardware. We hope that versions with more powerful video cards will be available soon. Of course this results in low noise emissions, because the fan does not need to work too hard, and also in low surface temperatures. Finally, also the battery runtime of the Dell Inspiron 1720 is good. A minimum of 2 hours and a maximum of nearly 6 hours are values seldom measured for desktop replacement notebooks. The 17 inch WXGA+ panel heavily reflects and its measurement values are not good. 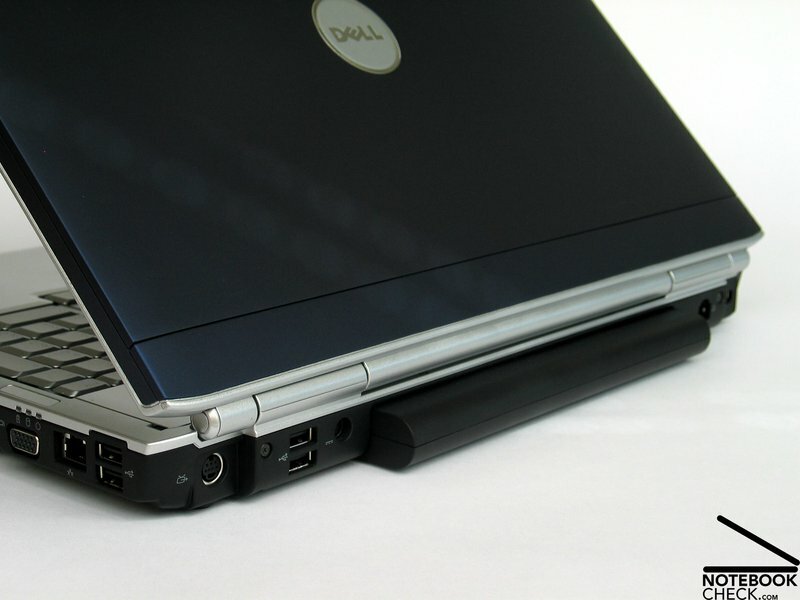 the Dell 1720 was obviously designed for supporting even more powerful components. 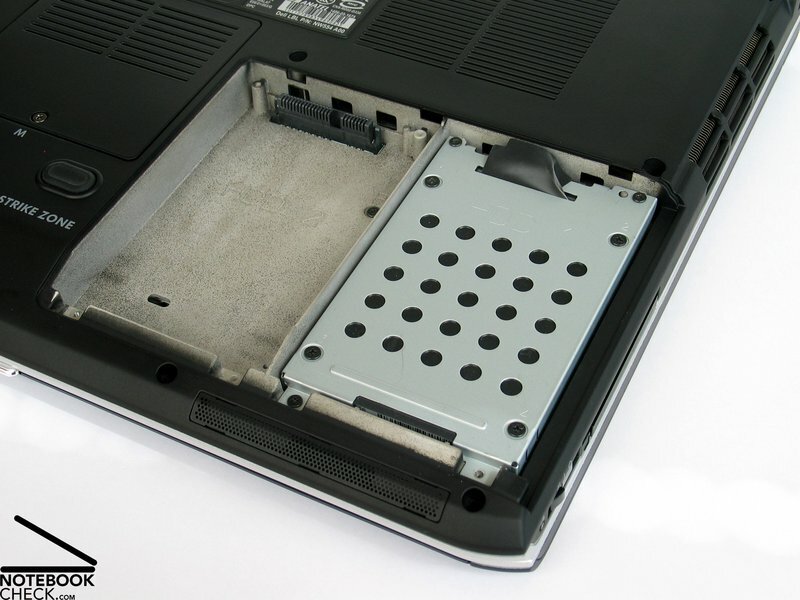 This is also true regarding hard disks: The case provides space for a maximum of two hard disks. It does not lack free slots. The fan at the bottom side was always comfortably quiet. No wonder, because of the notebook's size, it's sufficient, if the fan runs at low revolution speed. The sound of the two speakers located at the front edge is alright, but, they blast, if the volume is too high. 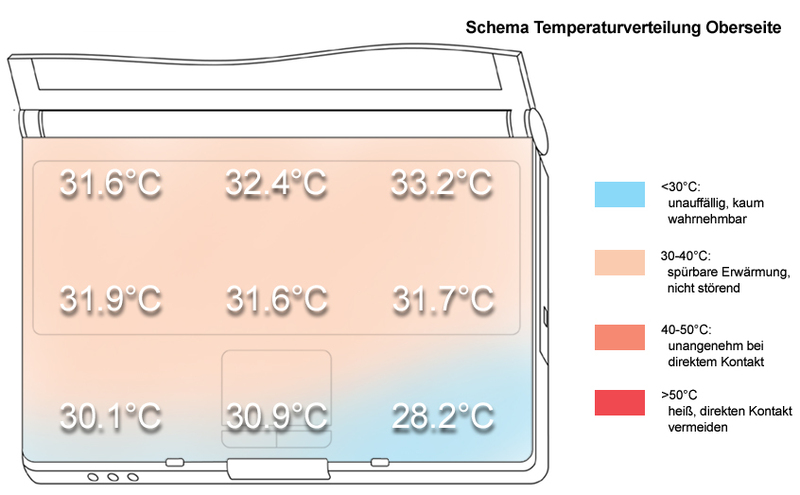 The surface temperature of the aluminum case was always alright. 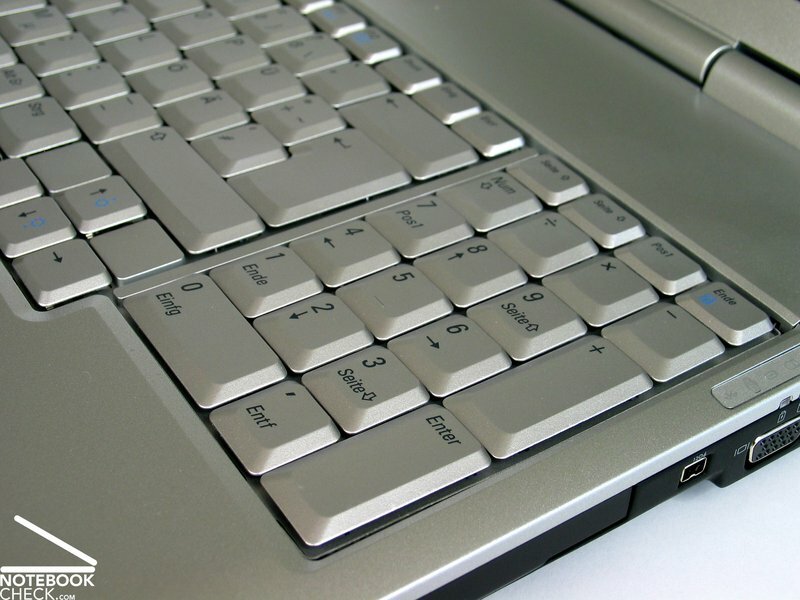 The beautifully designed hot keys on the front edge allow to control the Mediaplayer. The available space is reasonably utilized by an additional numerical pad. 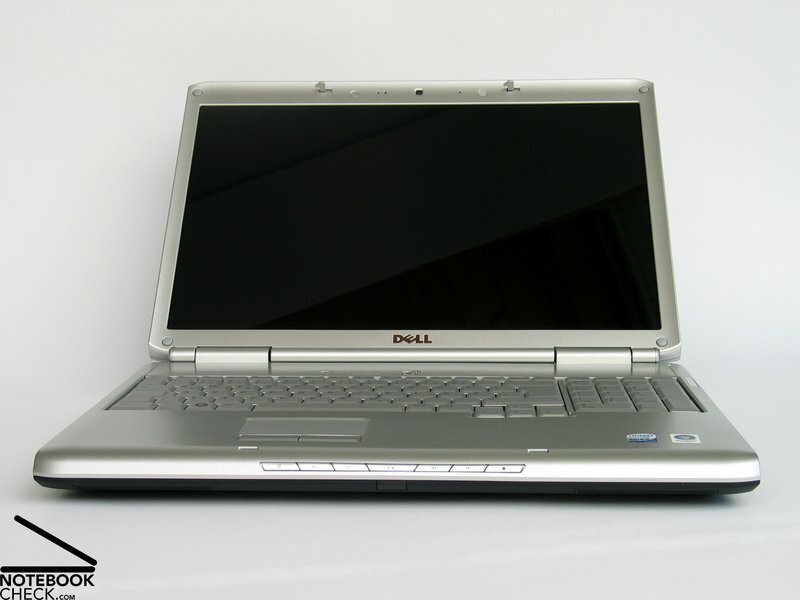 ...even if the 1720 resembles the Inspiron 9400 regarding size and weight. They display cover can be varnished with your favorite color. Also the form of the case is more elegant and dashing. ...even if the display hinge is not free of critique. Because the battery is at the back, the interfaces are mainly located at both sides and near the rear corners. Unfortunately, a digital video out is missing. The keyboard is alike the case elegant in silver. 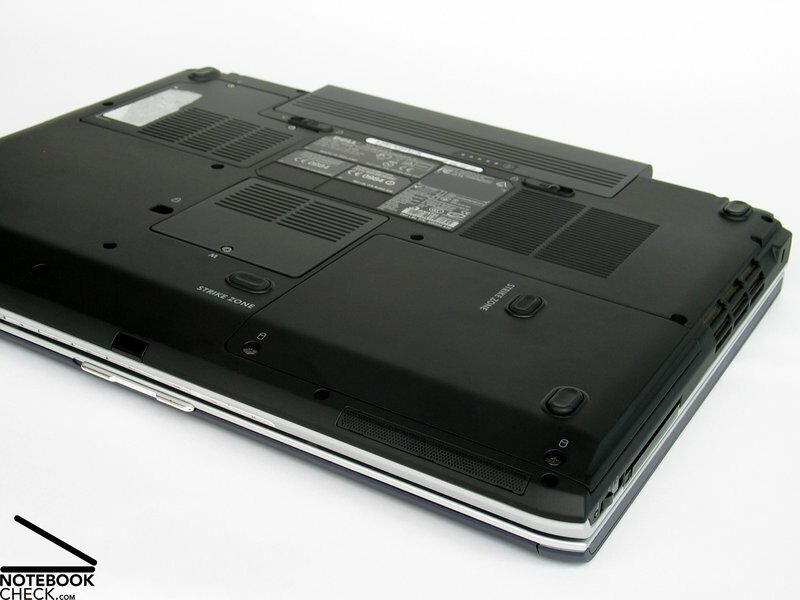 Much to our surprise this DTR notebook provides good battery runtime by a 85Wh lithium ions battery.